Harper Perennial Modern Classics, 9780060882860, 280pp. 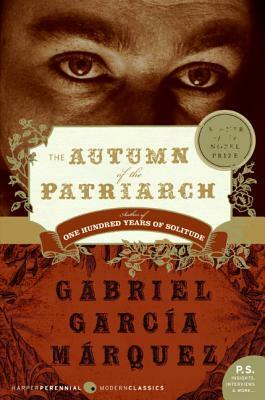 One of Gabriel García Márquez's most intricate and ambitious works, The Autumn of the Patriarch is a brilliant tale of a Caribbean tyrant and the corruption of power. From charity to deceit, benevolence to violence, fear of God to extreme cruelty, the dictator of The Autumn of the Patriarch embodies the best and the worst of human nature. Gabriel García Márquez, the renowned master of magical realism, vividly portrays the dying tyrant caught in the prison of his own dictator-ship. Employing an innovative, dreamlike style, and overflowing with symbolic descriptions, the novel transports the reader to a world that is at once fanciful and real.